New York State is Sour as Hell (Ithaca Brute and Captain Lawrence Rosso E Morrone) | You plus me equals..? California has gotten serious respect for its production of Belgian styled barrel aged beers. 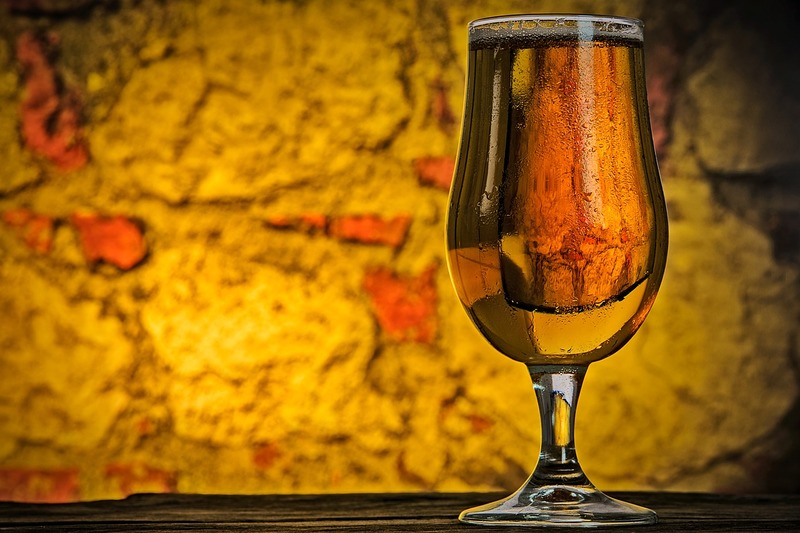 Infused yeasts and bacteria that produce an insane array of aromas and flavors, these beers are truly hand-crafted, with the help of the American scientific mind. There are many excellent versions of these Lambic or Geuze styles of beer, often aged in specific vintages of barrels from Whiskey, or Cabernet Wine, or Chardonay, etc. and adorned with fruits to match the flavors that recently vacated the barrel. These beers take a very long time to produce their final flavors and go through a dizzying array of chemical and biological changes that is only recently begun to be documented and fully parsed. The end result is tart, with an almost tropical fruit aroma in many cases, with a dry, biting finish. Two excllent examples of this “wild” style have recently come out of New York State. Captain Lawrence hit a homerun with its first entry into the Sour Beer canon with its much sought after Cuvee de Castelton, and Rosso E Morrone is a sort of “red wine” version of this style, aged in oak barrels and refermented with red grapes. A very intriguing intermingling of the typical wine and beer flavors, Rosso E Morrone is easily in the running for most complex beer experience on planet earth, hitting the palate so many different ways that the small 375ml bottle is quite a journey to take. Rosso comes in a wax capped small “split” style champagne bottle with a red wax dipped cap. It pours a pretty hazy reddish brown with almost no head and a small amount of carbonation.The nose is very intense, a range of funky, fruity, and chemical/wood smells that keep changing as you sip. Similarly, a treat of flavors await you as you sip, alternating between a decent malt presence, a nice tart fruitiness, and a crisp but round hint of bitterness. An absolutely classic take on this “Belgian styled” beer which is really as much New York chutzpah as anything else — amazing. Ithaca’s Brute has been an elusive brew to track down in the bottle — I tried it about a year ago in Cooperstown at the Ommegang festival, and rumors of the bottle being “brewery only” persisted until recently some bottles showed up at Bierkraft. Score. Brute pours a bright golden color with a nice big head that dissipates quickly, and a nice heavy amount of carbonation. Brute is the “traditional” Champagne to Rosso’s sparkling Shiraz, dryer, a bit more biting, and hitting the brighter part of the fruit spectrum (white grapes, peaches) as opposed to the darker fruits that Rosso has to offer (plums, red grapes, etc.). Brute is a touch more one-dimensional than Rosso, although it is still quite a complex sipper. Brute has more of a hop presence both in the nose and on the palate, with an effervescent mouthfeel that keeps the heavy acidity from being overbearing. As good as anything being produced by most American brewers who dare to step into the sour beer fray, these two New York State examples make me proud to be a resident and advocate for local beer — keep the explorations coming!